SO, HOW IS THIS FOR A SIGN? 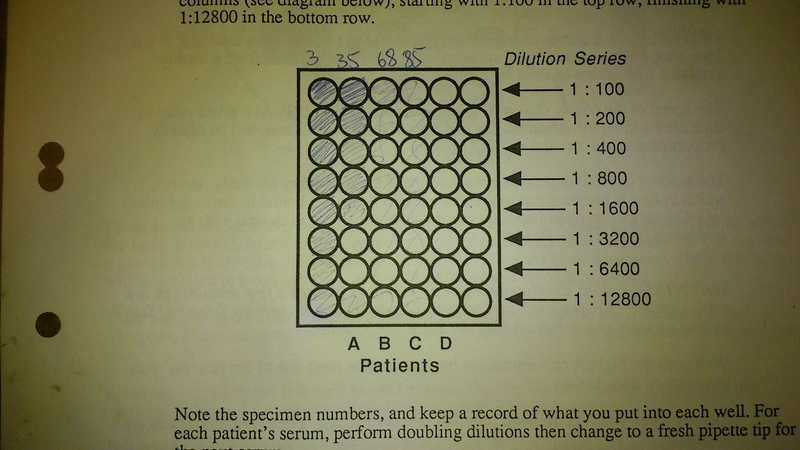 The very first lab we did for immunology? 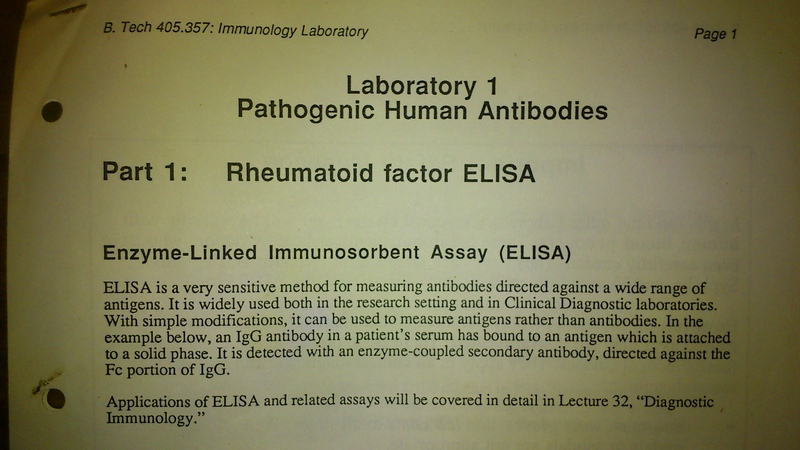 A test for Rheumatoid arthritis and that test is an ELISA! 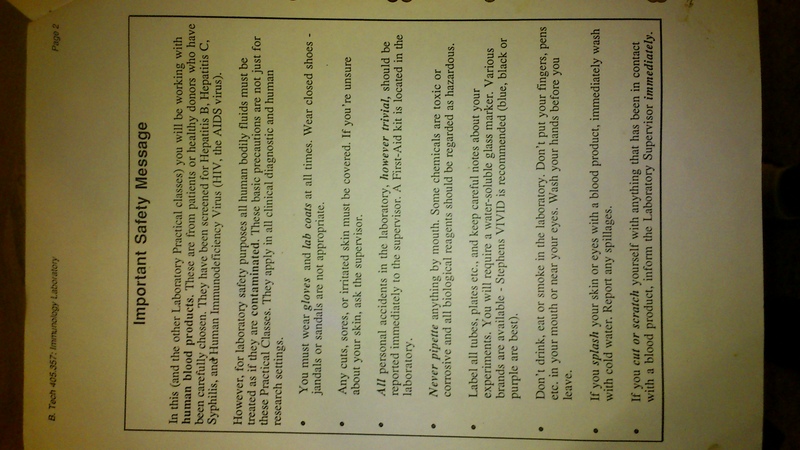 I was not kidding that RA was something I studied at Uni only to get it years later! Previous Previous post: UPDATE! AND CAT PURRING! I HOPE.